White Pine Press (NY), 9781935210665, 128pp. A biography-in-poems of Georgia O'Keeffe, interwoven with the poet's lyric accounts of a solitary month in a primitive desert cabin. A narrative-driven collection that reads like a novel, this book delves into issues of creativity, feminism, and relationships, while exploring turn-of-the last century New York City and the New Mexico high desert of the 1930s and today. 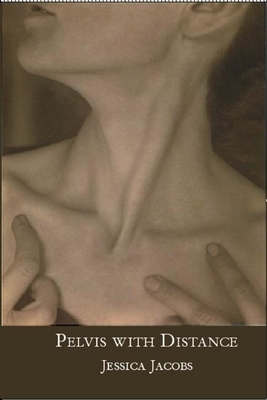 "Georgia O'Keeffe's remarkable life and work inspired this poetic meditation on everything from the pleasures and pains of love to the transformations that time works on an individual. And just as the artist distilled the essence of her subject matter, abstracting from flowers and bones, landscapes and clouds, a vivid story of her walk in the sun, so Jessica Jacobs discovers a vibrant music rooted in portraiture. 'How little it takes/ to make home unfamiliar, ' she writes. And home in this stunning book turns out to be the entire universe. Make yourself comfortable. There is so much to taste and see." --Christopher Merrill, Necessities and From the Faraway Nearby: Georgia O'Keeffe as Icon. Jessica Jacobs received her MFA from Purdue University. An avid long-distance runner, she has worked as a rock climbing instructor, bartender, Editor of Sycamore Review, Acquisitions Editor, and now as a Visiting Assistant Professor at Hendrix College in Conway, AR.